I went back and forth over whether Doctor Who would be appropriate for my kids. On one hand, they’d love the adventure and time travelling and weird aliens. On the other hand, some episodes can be a bit intense. (I’m looking at you, "Blink.") There’s nothing horribly scary, mind you. Monsters/aliens are threatening but not nightmare inducing. (Some – Adipose – are even cute.) Still, with NHL’s anxiety issues, I thought a few episodes might be too much for him. Over time, though, I changed my mind and began to think that both boys could not actually handle it, but love it. Unfortunately, NHL had it set in his mind that Doctor Who was a scary show that was NOT for him. For Father’s Day, B got me "When’s The Doctor." 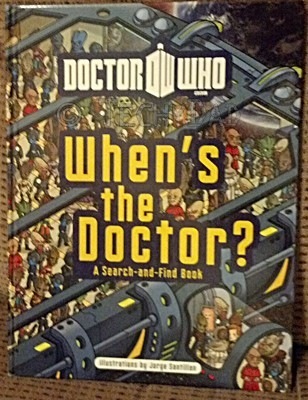 This "Where’s Waldo" style book sees the eleventh Doctor, Amy, Rory, and the TARDIS lost amid the chaos of many different scenes on many different worlds in many different time periods. 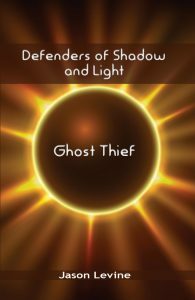 Scattered throughout are not only natives of those times, but some familiar aliens as well. In addition to spotting the Doctor, the TARDIS and his companions, you can find K-9, Daleks, Weeping Angels, and more. B meant for me to read the book with the boys, thinking that they would get so wrapped up in finding these characters that they’d want to see the show. It didn’t look like it was working until NHL greeted me Monday morning with "Dad, I want to watch Doctor Who with you tonight." So that night we watched "Rose" and two new Doctor addicts were born. The boys held their breath as creepy plastic mannequins-come-to-life stalked Rose. They gasped in awe as Rose first entered the TARDIS and was overcome with how it’s bigger on the inside. The cheered when the Autons were destroyed. NHL wanted to watch the next episode right then and there, but it was past their bedtime. Of course, NHL – the consummate geek-in-training that he is – wanted to know all the facts about Doctor Who. Who are the Daleks? Who is Davros? What episode do the Weeping Angels come in? Is the Pandorica good or evil? When will we see Cassandra and the Face of Boe? I answered as many questions as I could (trying to strike a balance of giving enough information to feed his curiosity while steering clear of spoilers). The next night they didn’t even wait for me. They began watching "The End Of The World" while I made dinner. NHL got excited as he finally saw Cassandra and the Face of Boe. He got nervous as Rose was put in danger and excited when the Doctor triumphed in the end. Part of me felt left out, but a bigger part felt like a proud geek dad. After all, he loved Doctor Who so much that he couldn’t wait an hour to watch it. Yes, we’ve got two new Whovians on our hands and I’m going to enjoy introducing them to every single episode. Talk about a fun and geeky family activity. 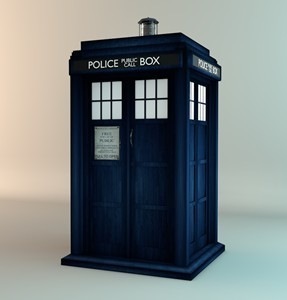 NOTE: The TARDIS image above is by Tim Hoggarth and is shared via the Creative Commons Attribution-ShareAlike 2.0 license.